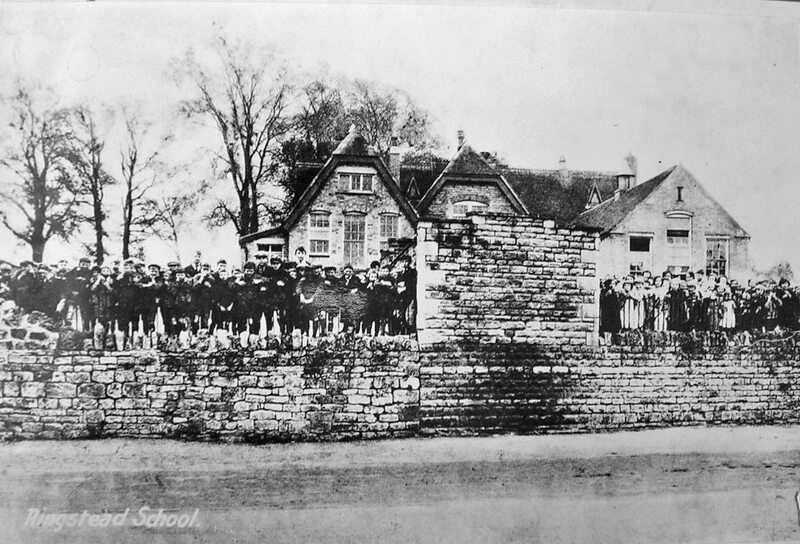 Picture below is Group 1 of pupils at Ringstead School in 1900 with Mr Thomas Johnson the Headmaster. Next but one to Alfred My Grand father-Edward Teddie Abbott-Jessie Roberts M thatcher's Aunty- 4th girl from right. 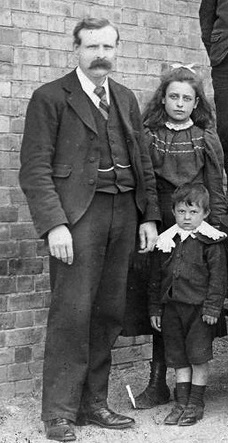 Girl next to teacher-Gertie Elizabeth Mayes-Later in life she married Married Footman Henry (Harry)Bradley who lived up Carlow street(seen on horse carriage below) who worked for Buckingham palace .Anyone who know more names to on this photo please email me on the form on the first page of this website. click the left Arrow to start story..
She visited her Uncle John Roberts the organ builder and he even taught her a few chords on the piano.Early on Alfred Roberts’ bad eyesight meant he could not enter the family trade of shoemaking. 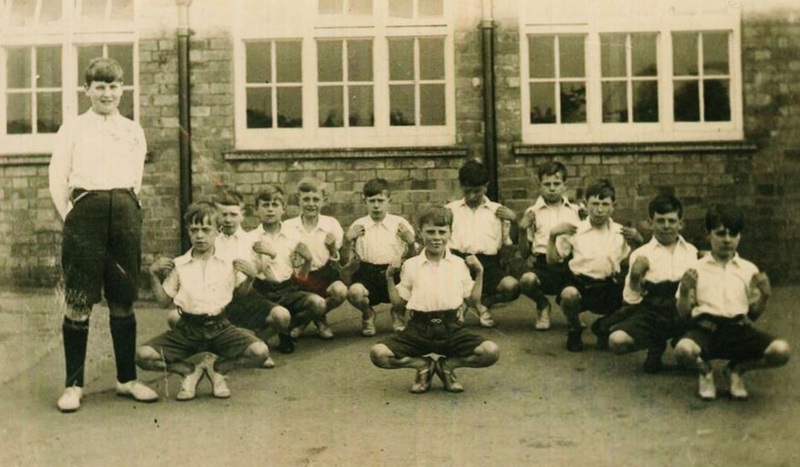 He left school at thirteen in order to help support his family and is listed in the 1911 census as living as a boarder in Oundle, Northamptonshire, and working as a grocer’s assistant. 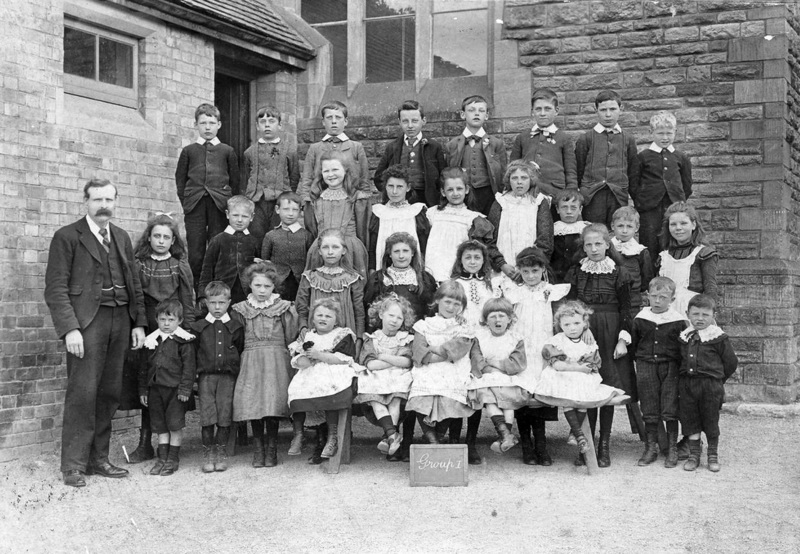 He later moved to Grantham, Lincolnshire.Roberts is seen in first picture standing at the rear squinting his eyes he stands first on the right aged 8.Blonde hair. Marilyn Watts, Anne Tomlin. 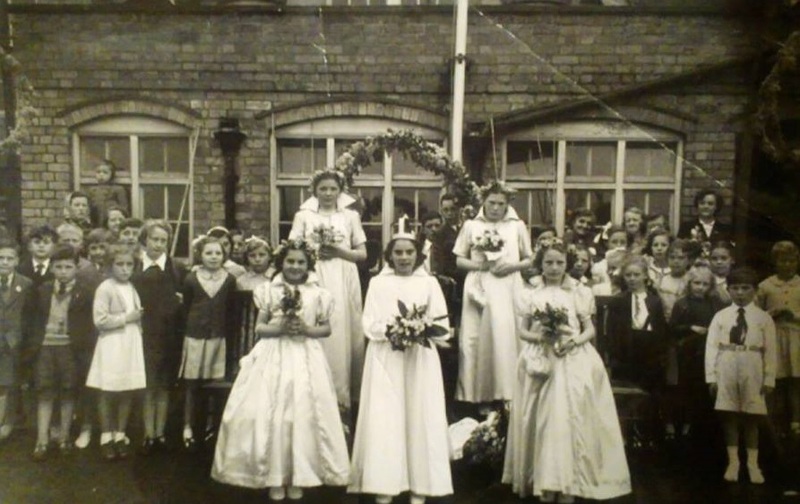 Others standing behind in no order Prevous May Queen Mary Turney, Susan Smith, Francis Hackney, Diana Bull, Pam Bicknell, Molly Weekly, Shelia Gray, Nigel Webster, Philip French,=child top right against window is Ivor Stokes. 1928 Headmaster Mr Bannister seen here on the right with the football group,My own uncle William Archer is standing 2nd boy in from Mr Bannister on the right. 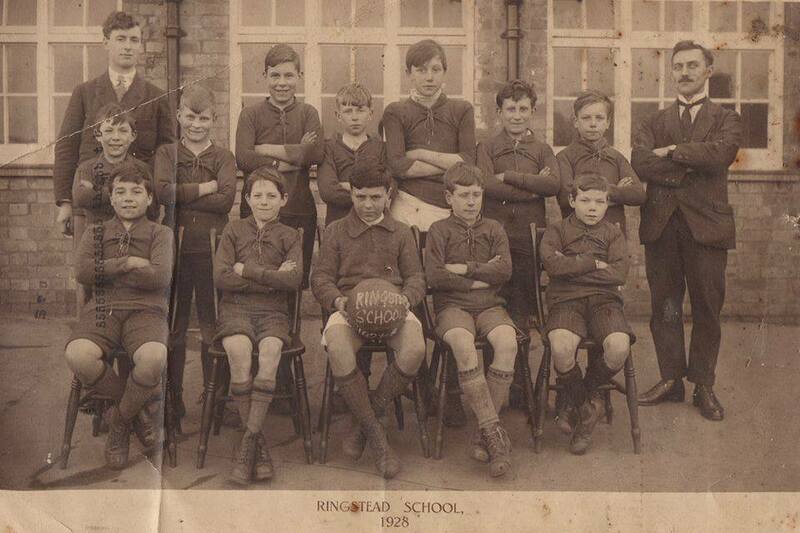 1927-Ringstead School with Stanley Attley in centre of picture. 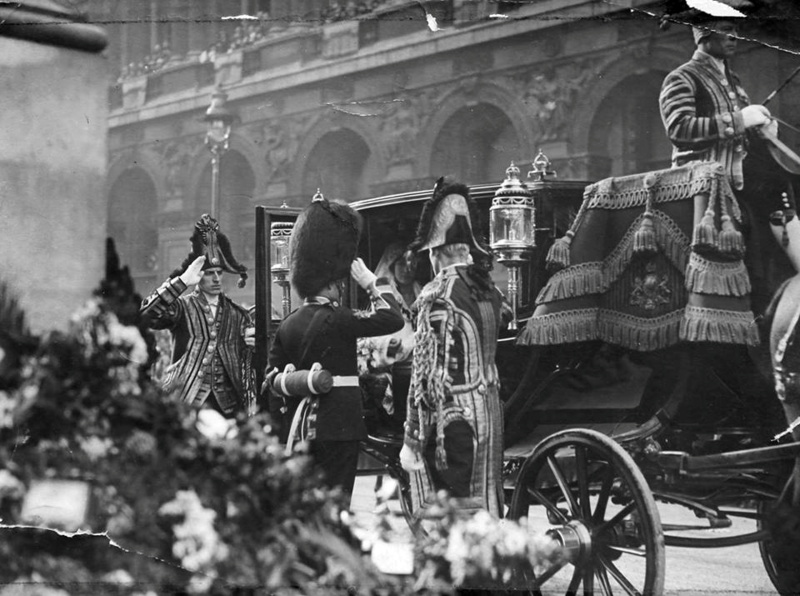 Pictured above on 1937 Coronation Day is Ringstead man Harry Bradley on the left saluting the Royal Family. Harry is the husband of Gertie Mayes, pictured below with Headmaster Thomas Johnson. 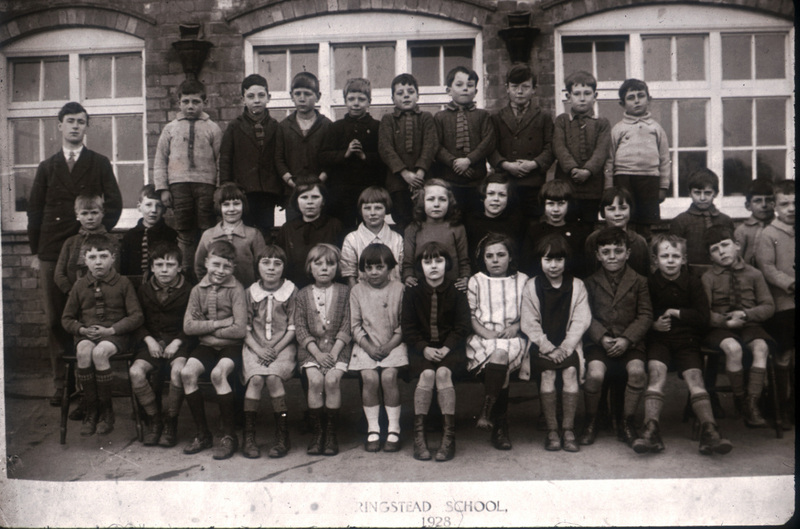 stopped at Ringstead school for 33 years before moving on to Northampton junior school. Gertie also worked for the household at Buckingham palace. J.L.Carr came to Northamptonshire in 1951 and was to due to start teaching at Highfield School Kettering but it was only half- built . 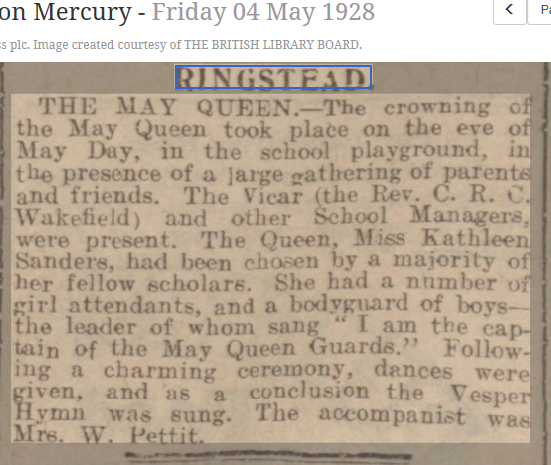 Meanwhile The School Board sent him to Ringstead to be Head Teacher until work was completed. Travelling from Kettering to Ringstead wasn’t quite as straight forward as it seemed. A bus ran bus from Kettering to Cranford but not Ringstead, so he arranged to have his bicycle hidden in a old barn just outside Cranford. He cycled from that point to Ringstead school every day for some months before renting out a house in Spencer Street. During his cycle ride upon getting to the hill just before Ringstead mill, he would pause as people had told him at that point he would be able to see church 8 church spires. Mr Carr could only ever see 6 of them. 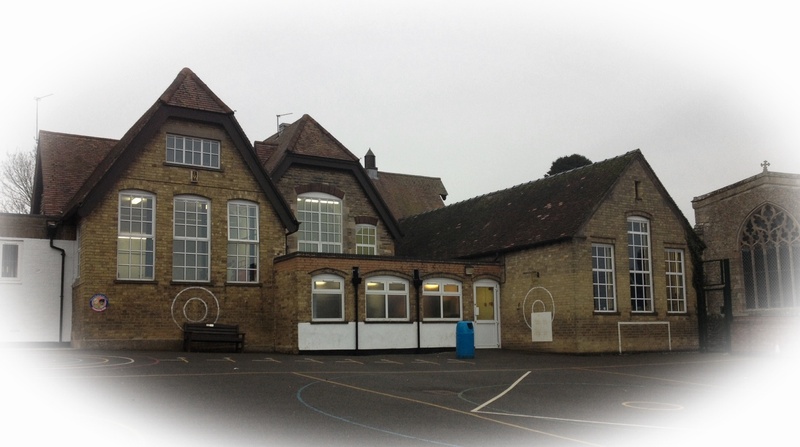 In the early 1950s Molly Larwence was first full time teacher then went part time she tells me.In 1953 The staff consisted of 3 teachers Mrs Pettit, Mrs Perry . Mr Carr was covering for Mr Johny Coates who was the Headmaster, but was recovering from a heart attack. Mr Carr’s favourite pastime was writing and painting with oil. He painted some very good work and even spent his spare time once standing outside in the playground painting just what he could see of the village. Soon his time was up in the village and was sent on to be Headmaster at Highfield School Kettering but some years later, many in fact, in 1983 when a new family moved in to the same house where Mr Carr had lived they came across a painting tucked down in the corner of the closet, it was the very painting that he had done of the view of Ringstead from the playground in 1954. I was given this painting by the lady who lived in the Spencer Street house where Mr Carr stayed and it was in a pretty much sorrow state. 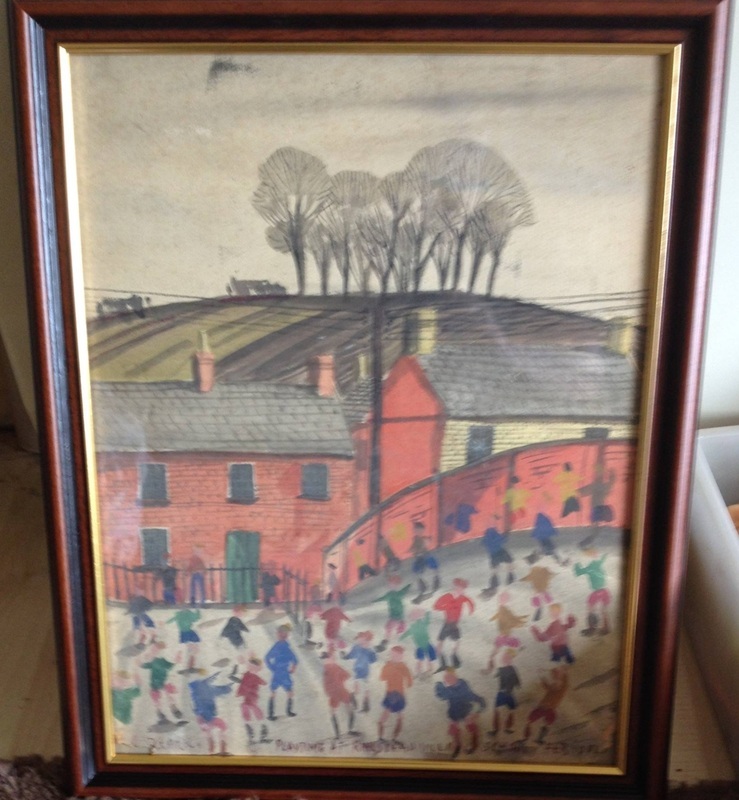 I framed it and presented it back to the school from where it first had seen the light of day. The Head Teacher, Mrs Laura Buckley accepted the painting and now it sits on the entrance wall being admired by all the children and teachers when they walk into school. Pictured below is Joseph Lyoyd Carr, known to many as Jim. 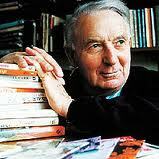 Mr JL Carr wrote a number of books in his life time. If you type his name into the internet you will see his work. Below two late 1800s May Days. First is on the junction of Church Street & Chapel Street ,the other in a private garden inDenford Road.The May Pole would be taken to different parts of the village where dancing would take place. Built in 1861 and had school classes before the school was built to promote the Temperance Intelligence & Happiness of the people in the village and over the years since its certainly had some happiness had in the hall with many functions from teaching ,dancing, reading, drama, wedding receptions even a mini circus with miniature horses came to the village and put on a show in the hall and its said a Mr Panter from Irthlingborough would drive over in the 1950s to give dance lessons. 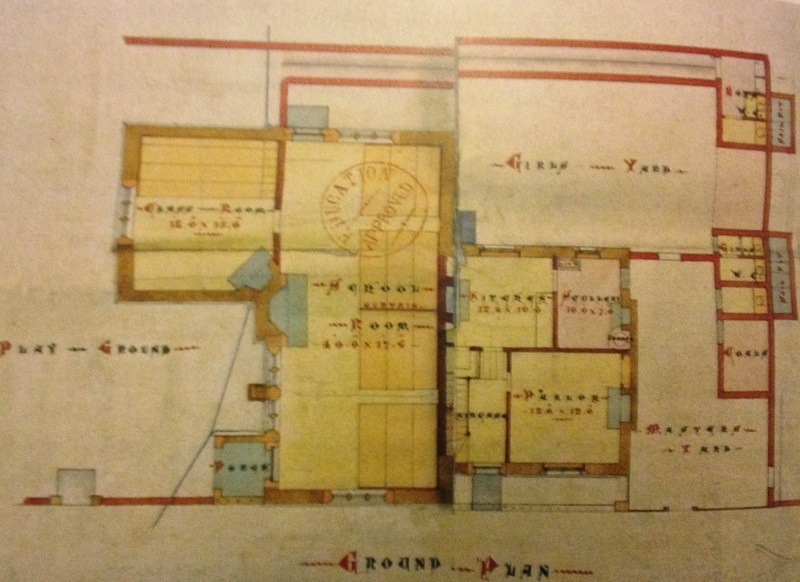 During wartime the village hall stored sugar and flour which then went on to supply the village and surrounding area. Over the last fifty years there have been some additions mainly the frontage you can see the photo above, inside there's a stage, a back room a fully fitted kitchen and can be hired out for decent amount hourly rate. It is used by the Scouts, W.I. and other village organisations. Many thanks to Robert whiteman who supplied this.